LBP locksmiths Brighton were called to a customer in central Brighton following an attempted break in. LBP locksmiths Brighton had previously installed a Gege 3 star British standard euro cylinder at the property. 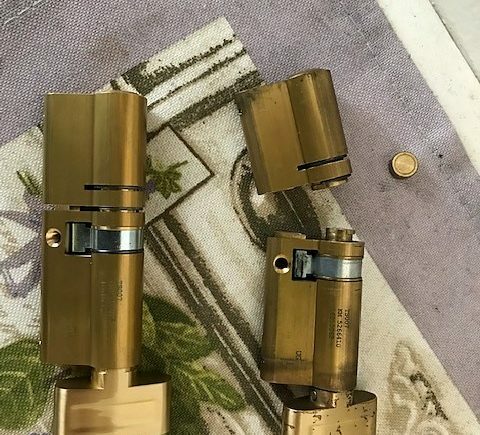 The burglars’ attempt to break in failed due to the high security lock. However, due to the method of destructive entry they attempted, the lock was snapped and became unusable. This is obviously better than the thieves being able to bypass the lock though. LBP locksmiths Brighton requested a replacement cylinder from our supplier and fitted it the following day so the customer was able to keep using the same keys and have the reassurance of a lock which truly stands the test of preventing a break in. For lock installation that stand the test of time, contact LBP Locksmiths Brighton today. 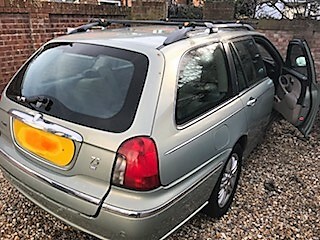 LBP locksmiths Brighton were called out to a gentleman who had lost his car keys to a Rover 75. The vehicle was parked at the customer’s residence and he urgently needed to get back on the road. After calling around for several quotes, LBP locksmiths Brighton were the most competitive for making new car keys. We were able to attend on the same day and have the job completed in good time. 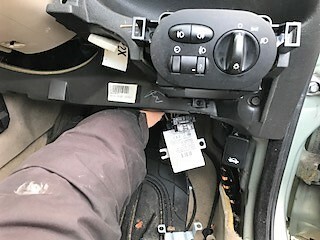 LBP locksmiths Brighton non-destructively picked the car lock, made new keys and programmed them to work.